2. 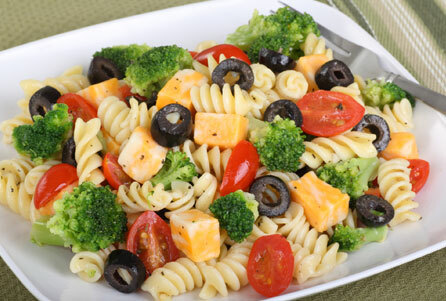 Lightly toss; pasta broccoli, cherry tomato, black olives, bell peppers together. 3. Drizzle with olive oil mixture. 5. sprinkle with Red Gold Sea Salt.